A relatively small investment can equal a huge improvement in the experience of Toronto transit riders. Photo by PJMixer via Torontoist’s Flickr pool. Consider the bus. The lowly bus. It plays such an important role in Toronto’s transit network, where buses carry 60 per cent of TTC riders, but it gets so little respect. Buses are the most flexible form of public transit and usually have the lowest capital and operating costs, but they are also the most vulnerable to interference from other traffic congestion and if not protected, they easily become the least reliable. In a multimodal system, buses can do two things really well: short trips to connect to rail lines, and express service over long distances not well served by rail. Because Toronto’s rail network is so limited (while we await LRT lines that will make huge improvements), our bus network has to do a lot of heavy lifting. Unfortunately, in places where it does the most work, it isn’t given the road priority it needs to provide reliable and timely service. One of the most obvious ways to improve the speed and reliability of bus travel is to create and enforce bus-only lanes. More bus lanes, with real enforcement, could do a lot of good in this city, particularly along the longer routes. This would require the cooperation of City Council. So. Well. You see the problem. Fortunately, there are other things that can be done to increase bus ridership and the quality of travelling by bus. These will also require some cooperation from City Council, but they are less likely to invoke the “war on cars” nonsense, so maybe they have a fighting chance. The first thing is better, easily available information about wait time. Riders do not like to wait, but when they have to, it helps to know how long the wait will be. 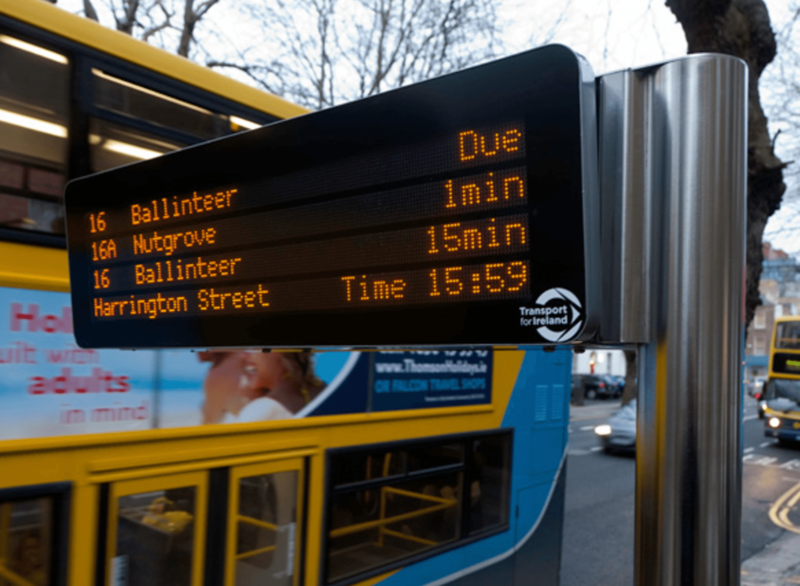 In many cities, at many stops, they have electronic signs linked to a GPS network on the buses that indicate when the next several buses are due to arrive. At other stops, sending a text with the stop number will instantly give you the same information. When riders have this information—and most importantly, when it is simply presented to you rather than making you look it up—it gives riders choices. They can decide it isn’t worth the wait and make another plan. They can decide that yes, there is enough time to run into the shop and get a snack. They can decide not to take the 14 that comes in two minutes, but the 56A that comes in four minutes, because it will take them closer to their destination. When you, as a rider, can make choices, it reduces feelings of uncertainty. You feel less “trapped” by the system and more in control. That is a better transit experience. The second thing is a bus network with its own internal logic that serves the breadth of the city, as well as feeding the subway and streetcar lines. If you want to take a bus across the city, north of Bloor, you will have to change buses when you hit the Yonge subway line. Taking a bus from Bathurst to Mount Pleasant along Lawrence? You may be going in a straight line, for all of three kilometres, but that will take you two buses and 15 to 20 minutes, not including your initial wait. A certain map program I know suggests you just walk from Yonge Street instead of waiting for the second bus. A grid is good, but it is not the best, especially when it gets broken up by the subway lines. I live eight kilometres from my brother. We both live on or near major boulevards with bus routes. It’s maybe a 15-minute drive. But it’s about 40 minutes on the TTC, because I have to take three different buses. It is good to have a system that cuts across the grid lines in places, and has lots of lines that overlap. Many metro lines even have such overlap—see Shanghai, for example. In London and Dublin, there are several points in the central city where you can pick up almost any bus that comes downtown. Bus stops stretch down the block to accommodate the many different routes picking up passengers there. If the bus network is sufficiently dense, lots of people should some choice about which route they can take to work or home. If a bus stop serves those multiple choices, it’s much easier for them. One of the reasons we don’t have this in Toronto is because the downtown is dominated by rail lines, especially streetcars, that don’t have this flexibility. But some creative thinking around Bloor Street and Avenue Road or Bay Street has some potential, and it would be good to see a few blocks of an east-west corridor, such as College or Dundas, serve a similar purpose, with buses from multiple destinations overlapping with the streetcar. The third thing is more and better use of express buses. This is where the flexibility of buses as a mode can be put to excellent use. Without extra sets of rails, we can’t introduce express service on the subway or streetcar lines. But buses can go around other buses easily. Even if there is an accident, a bus can reroute itself and still make its journey. The TTC currently has 10 express bus routes that run all day, including four to York University. It adds several more at rush hour (for a total of 24), including a few downtown express routes, for which the TTC charges—inexcusably—double fare. Moving more passengers through the system quickly is a good thing. It improves the efficiency of the system overall. No one should have to pay extra for that. We don’t charge people more for the subway than the bus, even though it’s faster; the same logic, and the same fare, should apply to faster buses. 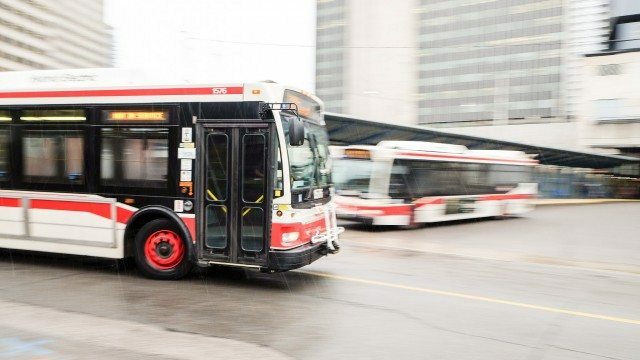 The TTC has identified express buses as an idea they want to expand, which is encouraging. They added five new routes last year, which they anticipated would immediately add 400,000 new riders to the system (per year). It cost $3.4 million. In June, the TTC proposed a 10-year plan for adding more express routes. Sadly, these don’t start to kick in until 2019. Anything and everything that can be done to advance the introduction of these express buses would be welcome. Bus lanes, easily accessible arrival information, overlapping routes, and more express routes—and yes, more actual buses: these would significantly improve travel times and rider experience. These improvements have their costs, but in the context of the billions we throw at other projects that will make much less difference, these are small potatoes. Investing in a better bus network will give the city a good return. And you know what? None of what I’m saying here is news to the TTC. Over to you, City Council. Back them up.